Google pre-registration for Harry Potter: Hogwarts Mystery is now open. Fans can pre-register on Google Play to be the first to be notified when the game launches. Jam City also unveiled Harry Potter: Hogwarts Mystery’s second official trailer. 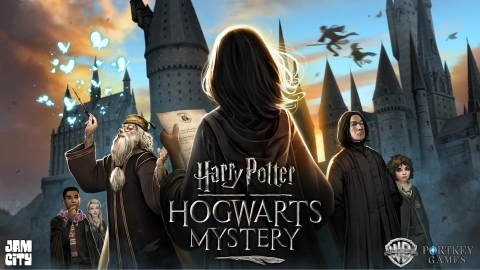 Harry Potter: Hogwarts Mystery is licensed by Warner Bros. Interactive Entertainment, developed by Jam City and will be released this spring for mobile devices under Portkey Games™, the new label for gaming experiences inspired by the magic and adventures of the Wizarding World™. The title will be available on the App Store and Google Play. "We are grateful to the fans who have made Harry Potter: Hogwarts Mystery one of the most anticipated mobile games of 2018," said Chris DeWolfe, co-founder and CEO of Jam City. "We're thrilled to open Google pre-registration and share a new sneak peek at how this game will let fans create their own character and enter Hogwarts as a student for the first time." Jam City is a global leader in mobile entertainment, providing social gaming experiences for millions of players around the world. Jam City was founded in 2010 by MySpace cofounders Chris DeWolfe and Aber Whitcomb, and former 20th Century Fox executive Josh Yguado. Jam City is the creative powerhouse behind some of the highest grossing and most enduring social gaming franchises for mobile, including Cookie Jam (Facebook “Game of the Year” winner) and Panda Pop. Jam City is the go-to studio for Hollywood, having developed immersive, narrative rich mobile games around iconic entertainment brands including Harry Potter, Family Guy, Marvel Avengers and Futurama. Jam City has 500 employees across studios in Los Angeles (HQ), San Francisco, San Diego, Seattle and Buenos Aires. The Jam City team is known for its creative excellence and technological innovation in key areas including storytelling, data science and audience intelligence.